Posted on May 28, 2018 by dev1305 wrote in General. 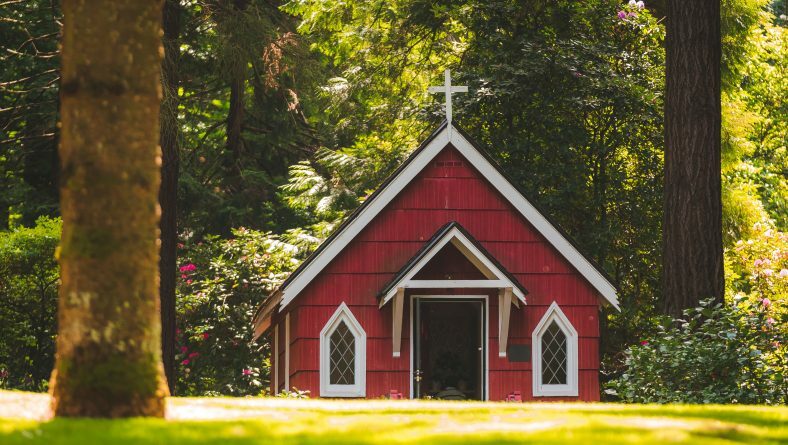 When you think of a church, or any religious campus, it’s probably that the overall atmosphere should promote peace, well-being, and a general easiness in feeling. 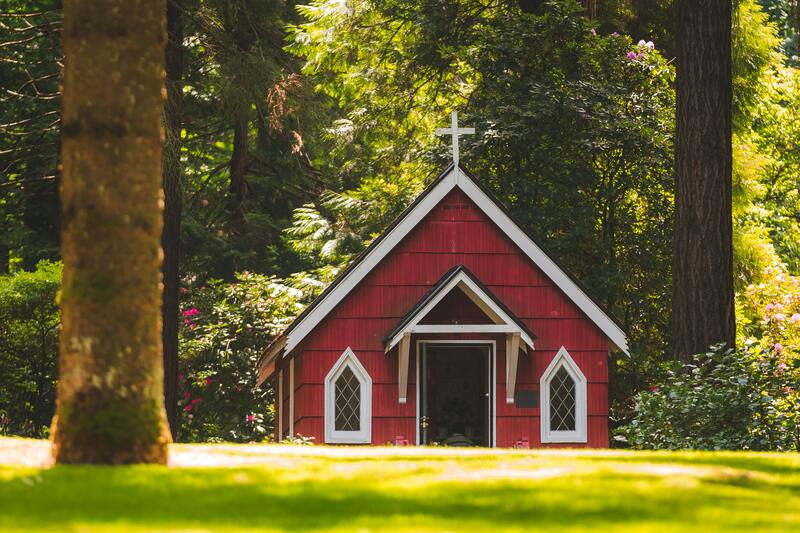 Churches are religious campuses typically make every effort to enhance their warm, welcoming, and peaceful environment, so why wouldn’t the landscape design be incorporated into that? When it comes down to the lawn, the yard, or the campus as a whole, how you choose to landscape can make a huge difference. Landscaping affects the way people feel about a place and helps determine if it’s a spot they’d like to spend their time. Incorporating certain thoughtful, peaceful designs into your church’s landscape can provide your campus with the calm, gentle, welcoming feeling you’re searching for. Imagine, fresh, Florida flowers blowing in the breeze, wafting their scents toward incoming guests, a calming water feature, and properly placed walkways and pavers guiding your guests through a secret garden of wonder. As professionals in the landscaping business, we’ve come up with our set of tips and tricks over the years for guiding our customers toward creating the most tranquil, welcoming landscapes for their church campuses. Check out a few of our favorite landscaping hacks below! Bringing your landscape to life is going to be one of the biggest elements to creating a successful church or religious landscape. It should be warm, bright, welcoming, and soothing. It’s never a bad idea to incorporate things that are religious specific, either. They’re enjoyable conversation pieces, and of course, they’re lovely to look at. Consider adding plants that have been referenced in the bible or other holy books, such as lilies and sage, or grapevine and chicory. They’ll give a great, historical sense of biblical place. Consider adding things like rose gardens, reflective pools, and plants that will attract wildlife, like birds, bees, and butterflies – in Florida, that includes plants like Black-Eyed Susan, Bottlebrush, Butterfly Bush, Calico Flower, Cassia, Coral Bean and Coral Honeysuckle. For birds, we suggest native plants like American Beautyberry, Red Mulberry, and Holly. While it’s certainly the goal to have your church act as a welcoming space on Sunday when it opens its doors for services, you want your landscape to have a welcoming, warm presence at all times so that when people gaze upon it, they’ll feel at peace, and possibly be encouraged to explore. We suggest included bright, colorful flowers to draw the eye of passersby, as well as plenty of large, shady trees, palms, and elephant ears to cool down the area – which can be hugely important in Florida, especially in the summer. Consider blooms in shades of blue and purple to give your guests a sense of calm and tranquility. Don’t forget to add plenty of benches and seating areas to open and encourage the idea of spending time in your garden or on your campus. Elaborate landscape is an important part of creating a welcoming, beautiful environment, but landscape is not static. Once you design, plant, and bring your landscape to life, it’s going to need constant attention to keep it trimmed and well maintained. 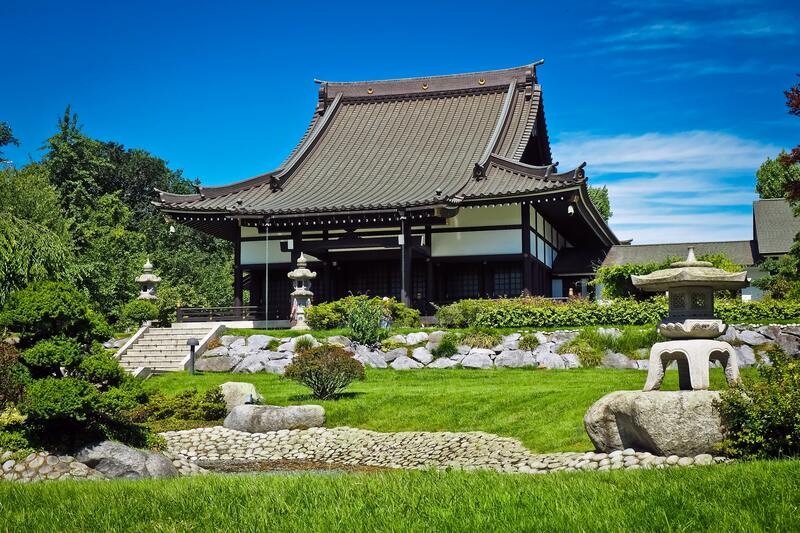 Your property should always look its best, but it should certainly always be prepared for the day it will see most of its guests which, for many religious groups, includes Saturdays and Sundays. Make sure you’re mowing, garden bed edging, and weeding during the week so that your church landscape will shine when people arrive on the weekend. It’s important to consider that events will likely happen throughout the week as well, so you might want to schedule a regular, maintenance crew to help keep your campus looking its best at all times. One of the most important elements a church can bring to their members, new guests, and even to strangers off the street is a spot for reflection, alone time, and a place to talk with their higher being. Your landscape design should, without a doubt, provide a space for guests to accomplish this. Consider adding in this feature in an area that’s far enough away from the actual building where your guests can feel like their having private time, but not far enough away that they’ll feel separated, cut off, or alone. One of the easiest ways to provide privacy in a garden, yard, or landscape design is to utilize tall, easy-to-manage shrubs, hedges, or trellises that can feature climbing ivy or clematis. Consider padding the area with thick palms, elephant ears, or other leafy, Florida plants to shade and cool the patch of privacy. We suggest always including benches or seats in this area so that people are able to spend a lot of time here, and if it’s in your budget, consider a water feature. With the added shade, the privacy, and the calming effect of a trickling fountain, your guests are sure to feel at peace and comfortable enough to reflect on their own time. Did our guide give you all the tips you’d ever need? Are you looking for more? We’ve got you covered. As professionals in the landscaping realm, our team at Landcrafters is full of helpful, engaging, and unique information, and we’d love to share it with you! Check out our website here or give our office a call at (727)-446-259 to chat more with us about enhancing the landscape of your religious campus. We can’t wait to hear from you!